Was that the Currans who had a shop on the Mountpottinger Road? The Curran family that I knew never had a shop. There was definately a shop called Currans on the Mountpottinger, other side from the barracks near the corner of Thompson Street. Kevin Curran's shop where I bought sweets and comics when I was a wee girl. vinty the head master at st Anthony's was from the mountpottinger rd. anyone remember carries sweet shop on the main woodstock rd between redcar st and ardgowen st ? the class of 69 st anthonys. we recked we was about 5 or 6 short names of the full class. view of were the toilets was out back in the play ground. 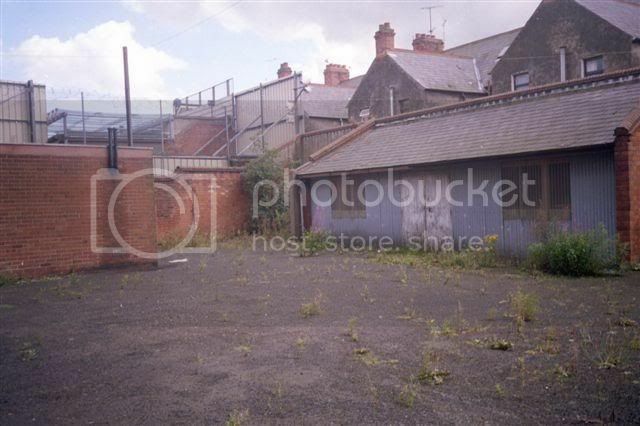 there was alway a roof over there beside the toilets but wasnt covered like that in our day. open plan back then. by the way the lad francie rehill from clonduff estate is the one guy no one had any clue to whatever became of him. maybe the name might ring a bell for someone ? I know Seamus Curran well through playing bowls but first met him when I was about 13 (52 years ago) along with Brian McKeown, Terry McGloin, Kay McGloin and many others and we had great times as teenagers. Although I came from the other side of the fence we did not worry nor care and neither did our parents. Seamus and his wife Kay are just the best!!! The boys used to play cards in a shop hallway at the top of Willowfield Drive on a Sunday and wait for us girls coming from Church down the road. Like I said "Great times"
Yes Naumai I believe he did indeed. Did you know him? He had a brother called Jackie who sadly passed away at an early age. I was talking to Gery Meli on the phone about a year ago and he told me brian was still here. I think they both worked on the cook strait ferries for many years. they live in wellington. I often wondered where Brian had gone. Thanks for the info. I knew Albert Meli from around Imperial Street (chippie) Is he a brother of Gerry's? Brian was a real handsome lad and had a great personality. He loved to mimic Elvis and he had the Elvis quiff and the suede shoes with the crepe soles. Can still see his lovely white teeth!!!! The world suffers a lot. Not because of bad people. But because of the silence of good people.